Choro is a Brazilian music style, very popular in the 1920s and 1930s, but still popular nowadays. 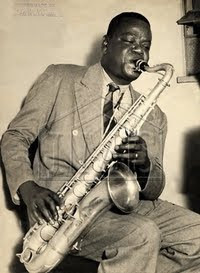 This blog wants to share our passion for this music and its musicians like Pixinguinha, Jacob do Bandolim and Garoto, but also the contemporary generation of young talented musicans like Yamandú Costa. Enjoy it here in the English version as this week's contribution. 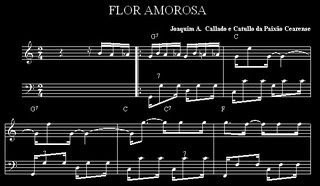 This tune, Flor Amorosa, is one of the earliest examples of choro. It was composed by Joaquim Antonio da Silva Calado ( or Callado ). He was a flute player and composer and lived in the 19th Century (1848 - 1880). 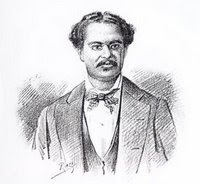 He founded a group, called Choro Carioca, around 1870 that had a flute, a cavaquinho and two guitars, what we now recognize as typically choro band instruments. He used the name Choro for the very first time. The music was played on the plantations and the name Choro became a label for those typically instruments, but also for the music and for the social gatherings. If Choro music is new for you, you should have a close look to all three fragments posted. Choro music had, except a kind of musical interaction, also a very important social roll in the 19th century society of poors and slaves. They came together and took their instruments; sitting in a circle, a Ronda, so they could have eye contact easily, to interact to the others sitting in front of them. 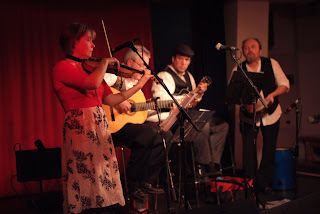 While being gathered they played the well known folk tunes, choro's, and each instrument, each musician, each choroes, starters as well as skilled ones, were invited to play along. His most famous composition is Flor Amorosa, which has already all elements typically for choro music and is stil played nowadays. Well, for me, this tune, can replace My Funny Valentine and become the symbol for this day of friendship. Choro music is a very social event, being together, in a ronda, making music together, in peace.